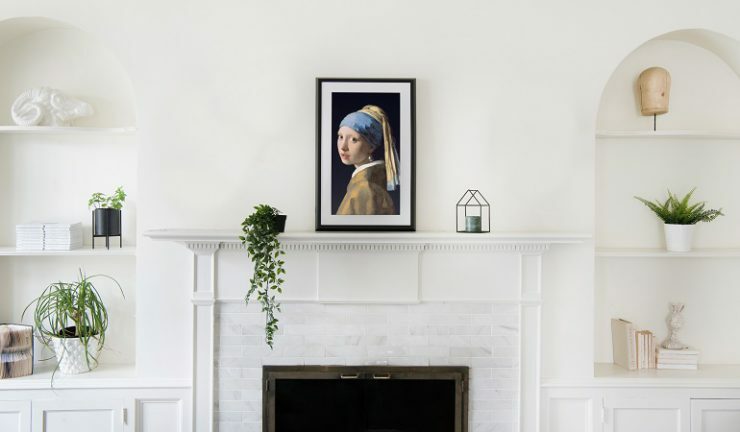 Netgear will launch a Wi-Fi connected smart art frame that displays art in the home in late April. Called the Meural Canvas, it is said to be the first and largest full-service digital platform for displaying artwork and represents a new category for retailers. There are three elements to the Meural platform, the canvas, membership which houses artworks and the Netgear powered app. The canvas is easily controlled by hand gestures for browsing individual art works and settings, the Meural mobile app or voice control via Amazon Alexa. The app connects the canvas to local Wi-Fi or, like a remote control, manages content, image duration, schedules, settings and image brightness for all canvases. Personal photos can be uploaded at home or remotely. Each frame is equipped with Wi-Fi capabilities supporting both 2.4GHz and 5GHz bandwidths, as well as increased RAM and automatic orientation for displaying in vertical and horizontal modes. The canvas features an anti-glare matte finish. An easel is available or the product can be wall mounted. Black and white frames are $1,199 and a walnut frame is $1,299 and includes a three year membership with access to a library of over 30,000 pieces of art which are changed regularly with fresh content licensed to the Meural platform. Interchangeable frames in different sizes will be released later this year. Available through Harvey Norman stores with other retailers to be confirmed.